Can I Enter Canada with an OWI? Operating while intoxicated, or OWI, is a drunk driving acronym common in several states including Iowa, Michigan, Indiana and Wisconsin. These jurisdictions prefer the term OWI over DUI since the underlying act does not necessarily require a person to be driving. Any foreign national that has received an OWI may be considered criminally inadmissible to Canada unless they have received special permission. Without government authorization, attempting to enter Canada with a criminal record for operating while intoxicated can lead to a denial of entry. There are two ways to get permission to travel to Canada with an OWI; a Temporary Resident Permit and Criminal Rehabilitation. A Canadian Temporary Resident Permit can enable an individual to cross the border for a specific reason and limited duration. TRPs can be issued for up to 3 years, but require a valid reason for traveling to Canada. Criminal Rehabilitation is a permanent solution to Canadian criminal inadmissibility, but takes a year or longer to obtain and requires a person to have completed their full sentencing at least 60 months prior. Have an OWI and interested in going to Canada? Phone us now for a free evaluation. OWVI or operating while visibly impaired is a common plea offer for people facing an operating while intoxicated or OWI charge. Even though the penalties for an OWVI are less severe than for an OWI, it can still render an American inadmissible to cross the border without a Canada TRP or Criminal Rehabilitation. It is unlawful to operate a motor vehicle in the state of Iowa while under the influence of alcohol or drugs. Anyone found to be operating a vehicle when they have a blood alcohol concentration (BAC) of 0.08 or more, or with any amount of a controlled substance in one's body, can be charged. Impaired operation in the state is covered by Iowa Code Sections 321J.2 Operating while under the influence of alcohol or a drug or while having an alcohol concentration of .08 or more (OWI). Iowa also has an implied consent law meaning all drivers in the state must agree to have a blood, breath, or urine test performed in order to determine the presence of alcohol or drugs if the police have reasonable grounds to do so. Refusing a breathalyzer or chemical test will result in a criminal charge. If a person's BAC level was greater than .10% or a motor vehicle accident occurred, in addition to the normal consequences of an operating while intoxicated charge the individual may also need to install an ignition interlock device or IID in order to be eligible for a temporary restricted license. The state also has a zero tolerance law for drivers under age 21, and anyone under 21 found to be operating a motor vehicle with a BAC level of .02 or more can be charged with an underage DUI. In Wisconsin, an OWI can stand for operating while impaired in addition to operating while intoxicated. Drunk driving in WI is governed by Wisconsin State Statute 346.63 Operating under influence of intoxicant or other drug. A first offense OWI in Wisconsin can result in a $300 criminal forfeiture, revocation of license for 6-9 months, but does not typically lead to jail time. A second offense OWI with a prior conviction within ten years can result in a fine as large as $1000 and five days to six months incarceration. Impaired drivers with alcohol in their system can also get charged with Prohibited Alcohol Concentration (PAC) in Wisconsin. The operating while intoxicated law is 257.625 of the Michigan Vehicle Code. A first offense OWI is a misdemeanor in Michigan state and can be punished by up to 180 days in jail, 360 hours of community service, a fine of $500, a six month driving restriction, and six points against a driver's license. If the blood alcohol content (BAC) was .17% or more the penalties can include a one year license suspension, a mandatory alcohol treatment program, and an ignition interlock device to drive again. Whether you are an American citizen or a Green Card holder, an OWI arrest or conviction can cause an issue at the Canadian border if you do not fix the situation properly. 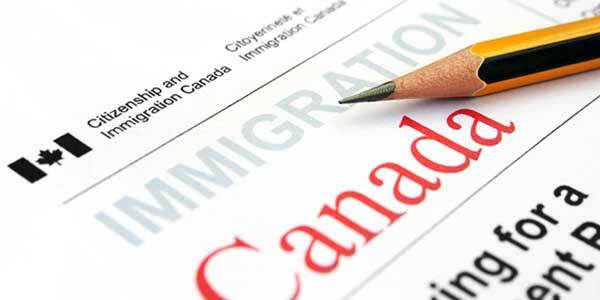 Criminal inadmissibility can also affect a person's ability to get a Canadian work visa or to study in Canada. Questions about entering Canada with an OWI? Contact us today for a free consultation with our Canadian immigration law firm.